FREE $5 Gift Card With Purchase At Target Or Petco! You are here: Home / FREEbies / FREE $5 Gift Card With Purchase At Target Or Petco! 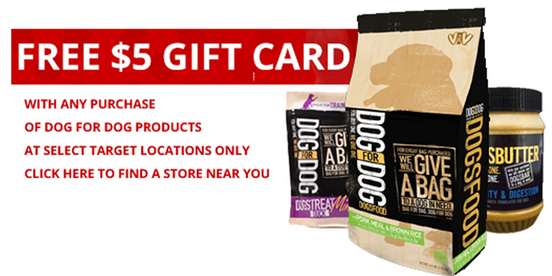 Right now at participating Target and Petco stores you can get a FREE $5 Gift Card with any purchase of Dog For Dog products! These products and $5 gift card are available at select stores.